A team of engineers at NASA collaborated with graduate students from the Massachusetts Institute of Technology (MIT) to design a futuristic airplane wing which should improve traditional airplanes dramatically. The concept of the re-designed airplane wing was revealed on Monday. The team behind its design says the new concept should vastly reduce the costs of development while improving the performance of airplanes in the future. Their approach is described in a scientific paper published in the journal Smart Materials and Structures. The futuristic airplane wing is similar in size to the wings of a single-seater plane, measuring a little over 16 feet. According to the press release, the wing is composed of small, cube-like pieces that allow it to “change shape to control the plane’s flight,” which should vastly enhance its performance. The team of engineers and graduate students also used ultralight materials to make the wing feel portable, covering it in a thin polymer material. The team believes the innovative plane wing should be more efficient. 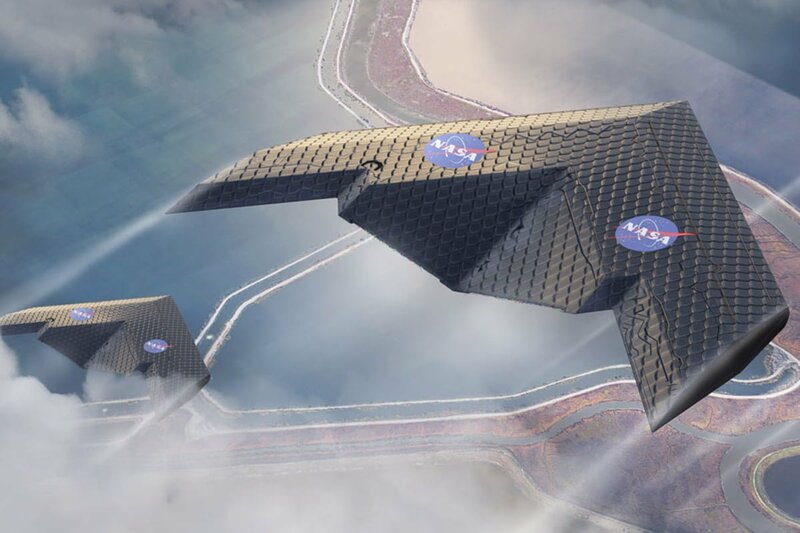 NASA engineer Nicholas Cramer agreed that the lightweight wing is also more flexible, arguing it’s better equipped to handle a variety of “stresses” in the sky. The researchers added that this new concept is an improvement on their previously-tested 3-foot wing, which they also built themselves. However, they believe the assembly process could be streamlined. “While this version was hand-assembled by a team of graduate students, the repetitive process is designed to be easily accomplished by a swarm of small, simple autonomous assembly robots,” MIT states, adding that the topic is expected to be described in full detail in an upcoming research paper. The engineers behind the project are expected to continue improving their concept while adding adjustments which would make it even more effective, adding that the results are promising. The paper also details the performance of the futuristic airplane wing in NASA’s wind tunnel testing site.